Amazon, Google owner Alphabet and Microsoft all wowed Wall Street and Silicon Valley with their latest earnings reports last week. And hopes are high for Apple and Facebook when they release their financial results later this week. So is it any wonder that this tech quintet continues to dominate the market? Shares of Apple (AAPL), which is getting fairly solid reviews for its new iPhone X, are now up 45% this year. Amazon (AMZN) has surged nearly 50% while Facebook (FB) is up more than 55%. Alphabet (GOOGL)and Microsoft (MSFT) are both up more than 30% too. So they are all even outperforming the red hot Nasdaq, which has gained 25% so far this year. In fact, all five stocks are trading either at or very close to their all-time highs. Apple is now worth a staggering $870 billion. The stock has to go up just 15% more for Apple to top a trillion dollars in market value. In fact, these five tech titans each sport market caps in excess of half a trillion dollars. Apple, Alphabet, Microsoft, Amazon and Facebook are collectively worth nearly $3.3 trillion. That's up from a combined valuation of about $2.2 trillion just two years ago. The stocks are surging even as legal executives from Facebook and Google as well as Twitter (TWTR) get set to testify in front of Congress about how Russia used ads, posts and videos on these sites to try and influence last year's presidential election. Wall Street has largely brushed aside concerns about Russia's social media moves and what that might mean for the future of Facebook and Google's YouTube. Both companies continue to dominate the online and mobile advertising world after all. Investors don't seem too concerned about other company-specific issues facing some of the Fab Five of tech either. 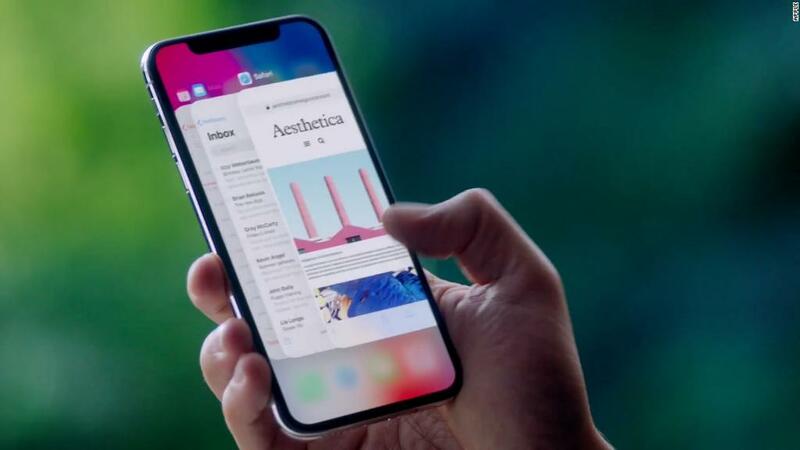 Apple fans, for example, are focusing more on the apparently strong demand for the iPhone X and less on the reportedly lackluster sales for the iPhone 8 as well as general concerns that Apple is way too reliant on the iPhone for its sales and profits. And Amazon investors continue to brush aside worries that it may be stretching itself too thin as it pushes deeper into brick and mortar retail with Whole Foods and physical Amazon stores and may be looking to do more in the world of health care too. But if these five keep posting huge profits from their core businesses and big growth from emerging areas, such as the cloud for Amazon and Microsoft and virtual and augmented reality for Facebook, Google and Apple, then the sky may be the limit for them.